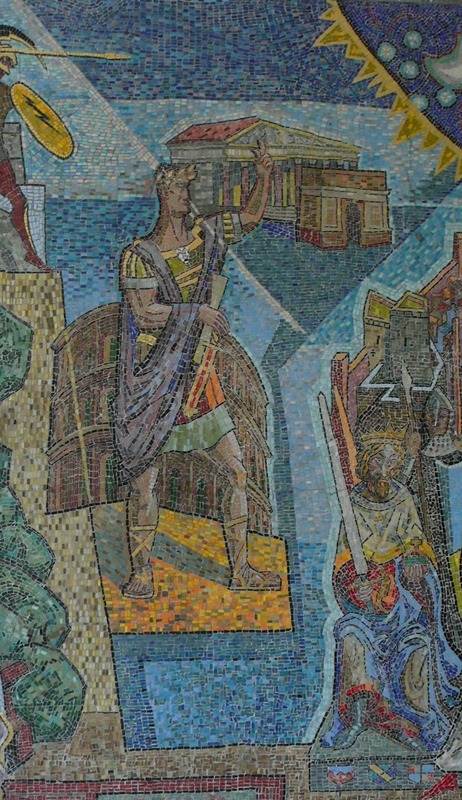 The State Office Building Annex, an example of mid-century Modern architecture, was so severely damaged by the devastation visited on New Orleans by Hurricane Katrina that the State had to call for demolishing the building. 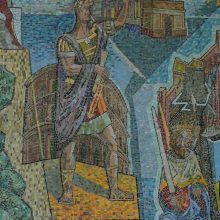 The State hoped to preserve a 10’ by 18’ glass mosaic by Conrad Albrizio installed in the 2nd floor lobby in 1956. 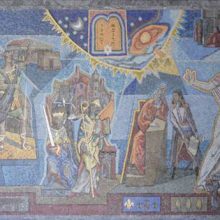 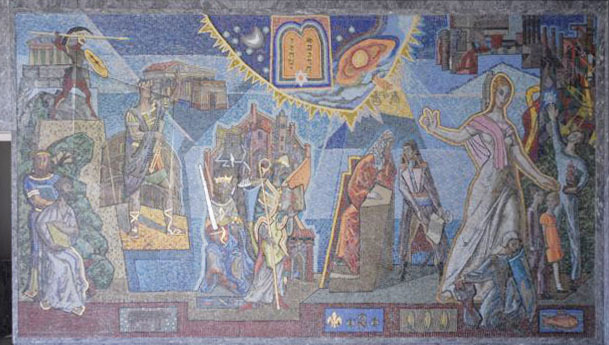 The mosaic depicts the history of the law and justice though time by representation of figures from Classical, Medieval, Enlightenment and Modern periods. 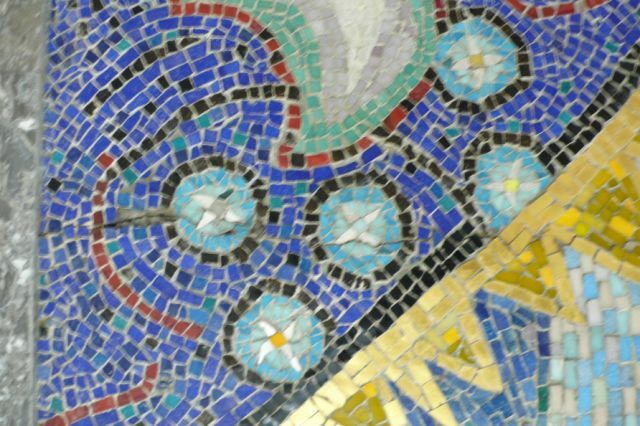 It is constructed of thousands of small colored glass tesserae set in a mortar bed and is one of several by the Art Students League trained artist in Louisiana and Mississippi public buildings. 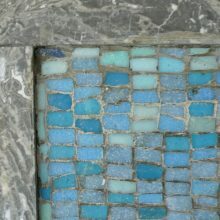 We were brought in to assess the condition of the mosaic and determine means and methods for removing and salvaging it for installation in a new building the state planned to construct on the site. 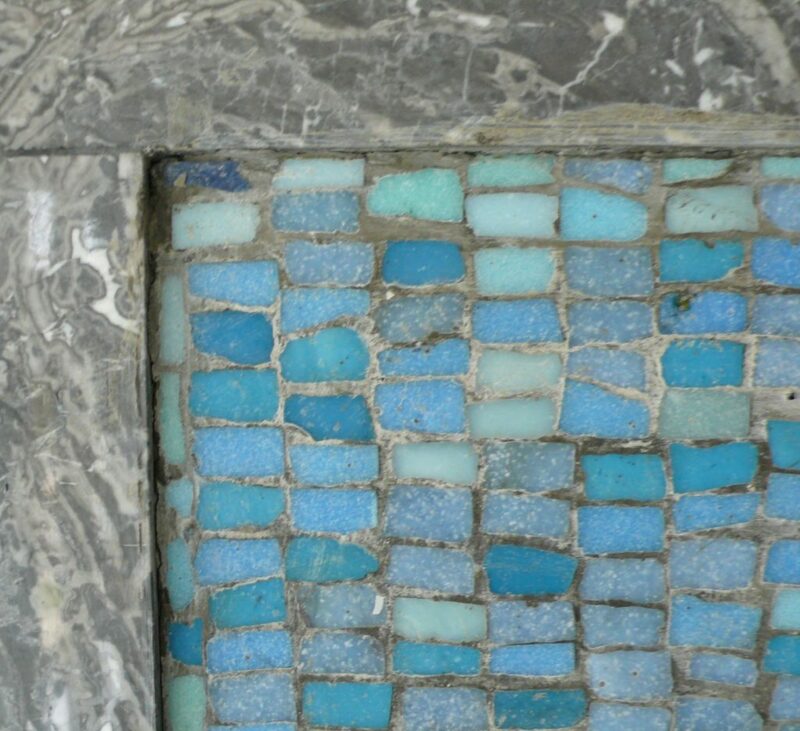 Our conservators inspected the mosaic, its backing, and the site conditions. 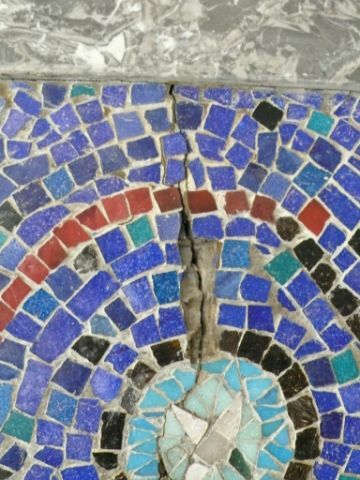 They determined that it would be possible to face the mosaic and remove it in three large sections, following existing crack lines and introducing minimal damage to the work of art. 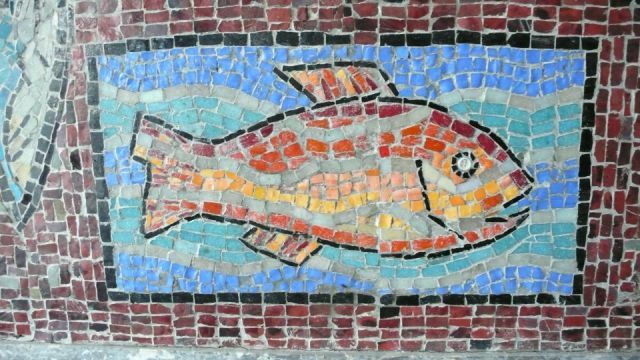 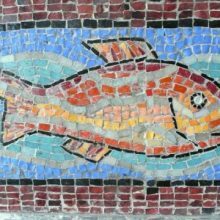 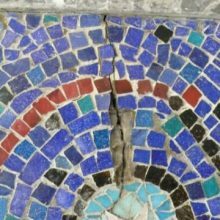 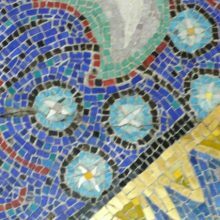 Based on the client’s request, a plan to remove, re-back, store and remount the mosaic was developed.